We've already seen a bunch of movies set to open in UK/ROI cinemas in 2018. Here are our favourites. There's a host of tasty looking movies set to hit UK/ROI cinemas in 2018. Thanks to press screenings and festivals, we've seen quite a few of them already. Here are the 10 2018 releases that have impressed us the most so far. We said: "Aided by its smart construction and light stylisation, 120 Beats Per Minute paints a portrait of a movement with a wide-ranging palette of emotions." We said: "A Woman's Life is essentially a prison movie, one which denies its heroine an escape, and which similarly refuses to offer the viewer a release from its grip." We said: "Ridley Scott has fashioned the Getty kidnapping into an old school thriller, one which resembles some lost '70s movie, full of men with sideburns arguing in dimly lit rooms." We said: "You can tell a lot of money has been pumped into Darkest Hour, and every penny is on the screen, but its best moments are minute masterclasses in how to convey something big with a small gesture." We said: "The real achievement of Craig Gillespie's film is in humanising a woman whose name has become shorthand for cheating and entitlement." We said: "Kornel Mundruczo is by no means the new Tarkovsky or Bergman, but he is a unique presence in today's European cinema. He may be concerned with form more than content, but when the form is this dazzling, it's worth celebrating." We said: "At its heart, Loveless is a commentary on the damage we can inflict on others when we only consider ourselves." 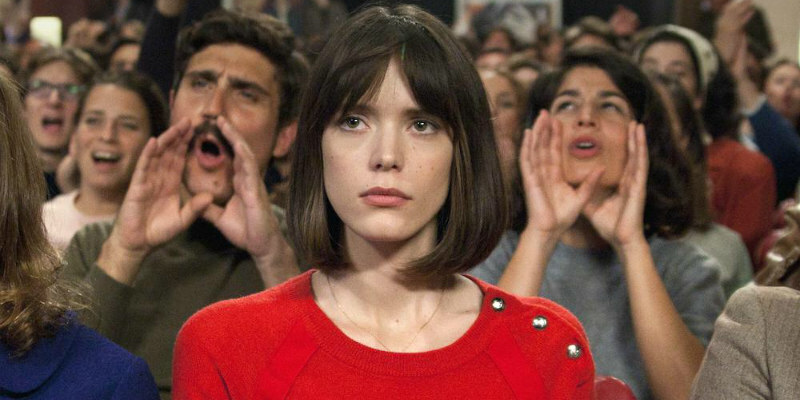 We said: "As so many French actresses have done over the decades, Esther Garrel and Louise Chevillotte rise above thin, borderline misogynistic material and elevate it with naturally charismatic performances." We said: "The most entertaining biopic of a filmmaker since Tim Burton's Ed Wood, Redoubtable is a committedly unserious look at an artist's desperate quest to be taken seriously." We said: "The Square functions as a narrative film, yes, but in its formalistic abstraction, it also functions as a very self-referential work of modern art."